The US Consumer Product Safety Commission (“CPSC”) reports this recall involves Lithium-Ion Batteries for HP Notebook Computers and Mobile Workstations. The recall expansion involves certain Lithium-ion Batteries for HP Commercial Notebook Computers and Mobile Workstations that were sold to businesses and other organizations. The Batteries were shipped with or sold as accessories for HP ProBooks (64x G2 and G3 series, 65x G2 and G3 series, 4xx G4 series), HPx360 (310 G2), HP Pavilion x360 11inch Notebook PC, HP 11 Notebook PC, HP ZBook (17 G3, and Studio G3) mobile workstations. 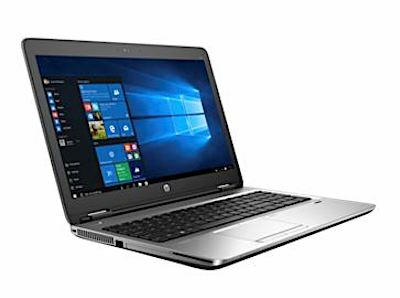 The Batteries were also sold as accessories or replacement Batteries for the HP ZBook Studio G4 mobile workstation, HP ProBook 4xx G5 series, HP ENVY 15, HP Mobile Thin Clients (mt21, mt22, and mt31), or for any of the products listed above. Please consult the photograph above for details of the product’s design and retail presentation. Additional images of the recalled Batteries are pictured on the Web site above. According to the CPSC, the recalled Batteries can overheat, posing a potential burn and fire hazard. In the United States, HP has received eight (8) reports of Battery packs overheating, melting and/or charring, including three (3) reports of property damage totaling $4,500 with one (1) report of a minor injury involving a first degree burn to the hand. The company has not received any reports of incidents or injuries in Canada. In Mexico, however, the company has received one (1) report of its Batteries overheating with no reports of injuries. If you believe you have purchased or have in your possession any of the recalled Batteries, please do not use it. Instead, please visit http://www.HP.com/go/batteryprogram2018 to see if your Battery is included in the recall and for instructions on how to enable “Battery Safety Mode” if your Battery is included in the recall. The Web site provides owners with instructions on how to initiate the validation utility to check their battery and what to download if your Battery is included in the recall. These Batteries are not customer-replaceable. HP will provide free battery replacement services by an authorized technician. Please note: this is a joint recall from the US Consumer Product Safety Commission (“CPSC”) and Health Canada (“HCSC”). ==> To see other recalls and notifications caused by suspected faulty and/or dangerous Computer Batteries, please search for “battery” using the Search Box at the top of this page. ==> To see other recalls and notifications relating to Burn hazards, please search for “burn” using the Search Box at the top of this page. ==> To see other recalls and notifications relating to products made, marketed and/or sold by Hewlett-Packard, please search for “HP” using the Search Box at the top of this page.